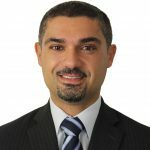 Although Australia is considered to be one of the most progressive countries in the world, and has a sophisticated criminal justice system, an Innocence Project lawyer has highlighted a number of deficiencies in the way that the Australian legal system deals with wrongful convictions compared with other western countries. In an article published in the University of Cincinnati Law Review in the US, the Director of the Griffith University Innocence Project Lynne Weathered looked extensively at the criminal justice system in Australia, and revealed a number of ways that we lag behind other countries including the US and the UK when it comes to investigating and exonerating wrongful convictions. Organisations like the Innocence Project have gained attention worldwide for their work in re-examining DNA and other forensic evidence to exonerate those who have been wrongfully convicted of serious crimes. Although the Innocence Project has been extremely successful overseas, especially in the US where hundreds of people have been exonerated, to date only one person has been exonerated in Australia through the project’s work. This is believed to be due to a number of factors, including a lack of availability of DNA evidence, and a shortage of funding to enable lawyers to devote time and attention to potential cases. 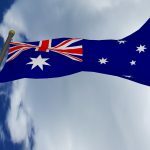 In her article, Ms Weathered gives a number of other possible reasons why Australia lags so far behind other countries in the number of exonerations of wrongful convictions. Are there fewer wrongful convictions in Australia? It has been suggested that one possible reason why there have been fewer exonerations in Australia over the years could be because the legal system is different to the US and is set up to a certain degree to reduce the likelihood of a person being wrongfully convicted of a serious crime in the first place. Measures that have been put into place in more recent years include the recording of confessions that are used in court, and where possible, the conversations that took place before and after the confessions were made. 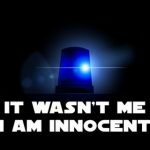 It has been said that this may potentially reduce the number of false confessions made due to pressure from interviewing police officers, or even fabricated entirely, as was shown to have happened in previous years. Other factors that have been said to contribute to the possibility of a reduced number of wrongful convictions in Australia include more access to legal aid for those who have been charged and are unable to afford a lawyer, and the fact that judges in Australia are not elected to the position like they are in the US. However, there are contrary arguments to this. For example, it has been pointed out that in the United States, wrongfully obtained evidence can often be excluded far more easily than in Australia. 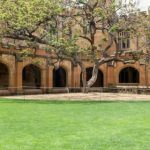 Whereas in Australia the court will weigh up whether to exclude illegally obtained evidence, the situation in many of the United States is that such evidence must be excluded – thereby reducing the likelihood of a wrongful conviction. It has also been pointed out that in the United States, every person has a legal right to a lawyer, whereas in Australia there are many who are forced to represent themselves because they are not eligible for legal aid but cannot afford a private lawyer. 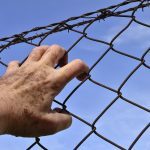 Those factors suggest that the rate of wrongful convictions in Australia may be high, and that many of those convicted and sent to prison are in fact innocent. What factors can lead to wrongful convictions? While false confessions are believed to be the cause of a whopping 25% of wrongful convictions in the US, there have also been many documented cases of false confessions in Australia. In addition, cultural and language barriers between Aboriginal Australians and the rest of society can create problems, particularly the phenomenon of ‘gratuitous concurrence,’ which is when an Aboriginal person agrees to a questions or statements as a way to appear obliging and foster a positive relationship. A number of other cultural misunderstandings between Aboriginal people and authorities could also potentially lead to wrongful convictions, especially when it comes to non-verbal communication like eye contact and silence. This has the potential to not only affect police interviews, but extend to the courtroom as well. Other factors that have been found to contribute to cases where wrongful conviction was later proven include faulty eyewitness statements, the withholding of key evidence, tunnel vision on the part of the police investigating, and official misconduct. These factors have all been found to have occurred in cases where Australians have been exonerated on appeal. Ms Weathered highlights a number of ways that the justice system in Australia limits the investigation and exoneration of people who have been wrongfully convicted. As well as the Innocence Project in the US, there are criminal case review commissions operating in various forms in the UK, Norway and Canada. There is very little in the way of a formal process for DNA-based wrongful conviction investigations and claims in Australia, although some progress has been made in some states in recent years. While there is no Australia-wide avenue available, NSW and Queensland do have provisions in place for those who have been wrongly convicted to request DNA-based innocence testing. Those who wish to take advantage of this opportunity need to make an application to state authorities. 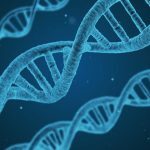 The provisions for DNA testing or re-testing do have a number of limitations, however, including the fact that they can only apply to serious offences. As well as the lack of avenues across Australia for those wrongly convicted and incarcerated to get DNA testing completed, there are often challenges around the evidence itself. Much DNA evidence is destroyed once the final appeal has been completed, which means that any chance of exonerating the person convicted is destroyed with it. There is also difficulty in obtaining access to information, with prisoner rights to information about their case limited and often ambiguous. Getting hold of basic information, even as to whether or not DNA evidence is available for testing, can prove laborious and time-consuming. The difficulty in obtaining information as to the existence or otherwise of DNA evidence means that years can be spent on an investigation, only to find out that the evidence no longer exists. The process of exoneration in this country also relies on a system of pardons that is generally considered to be out-dated when compared with other countries. It is clear that reform is needed across Australia if we are to see regular exonerations for wrongful convictions. A wrongful conviction can obviously have devastating effects on an innocent person’s life, even if they are ultimately released from custody. The stigma and psychological effects often linger, particularly in the case of serious offences.